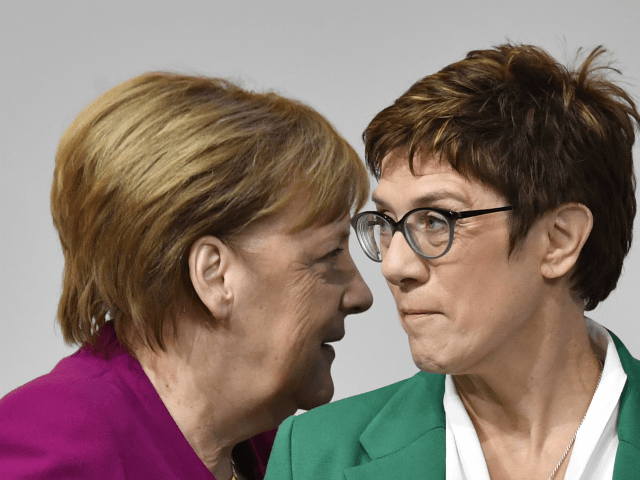 The role of party leader in the CDU and the position of chancellor in a CDU majority government are meant to go hand in hand in Germany, and the Christian-centre-right grouping has provided chancellors for a total of 50 years in the last seven decades. France and Germany, dubbed the “Franco-German couple” by Macron which seeks to stop the world “falling into chaos” by saving it from populism, have already taken first steps in their new project signing a declaration last month pledging to integrate defence and announcing a next-generation fighter jet project this week. Brussels bureaucrats were “delighted” at the end of last year that France and Germany were taking the lead on arming the European Union — an endeavour the bloc hopes to accomplish by 2025. But NATO allies had expressed concern that the EU will prioritise the European project’s military plans over contributing to defence for the North Atlantic union — with only six of the 29 NATO members paying the minimum two per cent of GDP for shared defence. President Donald Trump has criticised countries like Germany which have benefitted from the protection of NATO but have contributed little to it. That looks likely not to change in the case of Germany, with the country not expected to meet its own, much reduced, spending target that it set itself of 1.5 per cent, spending just 1.24 per cent last year. The U.S. president put NATO spending at the forefront of his international defence strategy, and he will return to the UK in December for the 70th anniversary of the North Atlantic Treaty Organization, where President Trump is certain to reiterate calls for allies to pay their fare share.